Stormy conditions have been covering the North Shore for most of the previous week. This morning saw the conditions improving as the wind began to settle down and the waves cleaned up to provide consistent 5-7 foot faces at the “Pool Bars” break at Turtle Bay Resort. It was a fun day of competition and exhibition today as we saw the first two women’s heats, competition between under-16 youth and a special exhibition from some living surfing legends. Na Kama Kai also held a youth clinic to teach the next generation the necessary skills to excel in the ocean. 24 women from around the world competed today in the first event of the 2014 Women’s Stand Up World Tour, the Turtle Bay Women’s Pro. The women were challenged with inconsistent sets and variable conditions throughout the day which added to the challenge of this right-hand point break. The first round had no major upsets as the top two ladies from each heat advanced to round three. All was not lost for the competitors who did not win their first heat as the repercharge round gave them a second chance to make it to the third round. At the end of the day, 18 women advanced to round three which will run later in the week as conditions allow. 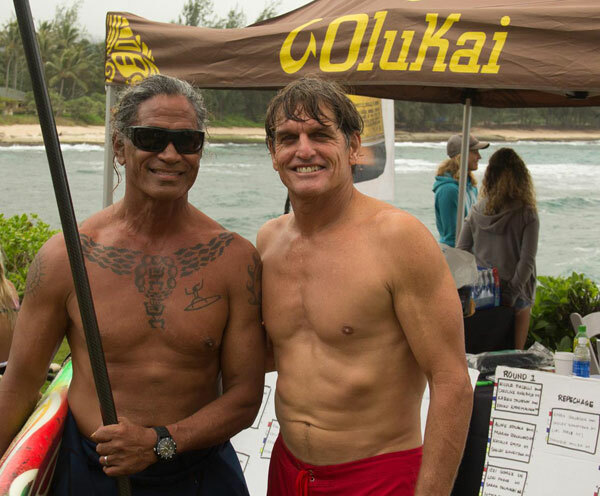 As part of the ongoing weekend festivities honoring some living legends, the crowd at Turtle Bay was treated to a special exhibition heat between three men who helped pioneer the modern waterman culture. 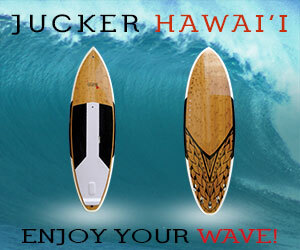 Alika Willis, Titus Kinimaka, and Buzzy Kerbox competed in the water for the Olukai Tribute to the Legends. 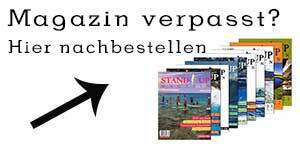 In the end Buzzy Kerbox took the title of “Legend Amongst Legends”, adding a SUP medal to his long list of surfing accolades. 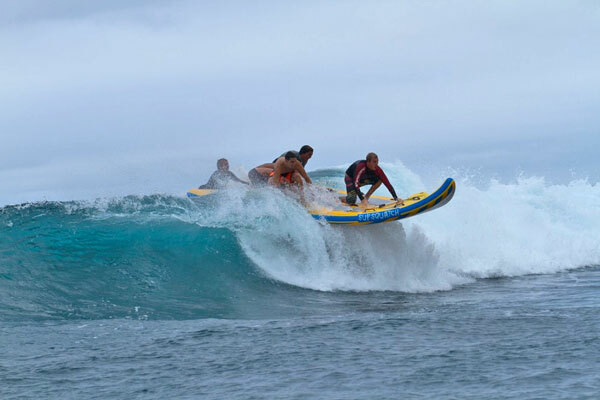 Also part of the tribute was a team battle heat on inflatable SUPSquatch boards for a very entertaining display between the “Young Guns” and the “Old Dogs”. Kai Lenny, Connor Baxter, Zane Schweitzer, Matt Schweitzer, Kody Kerbox, and Riggs Napoloean faced Archie Kalepa, Brian Keaulana, Kala Alexander, and Mel Pu’u’s two daughters. The old dogs ended up winning the heat by a score of 15.34 to 10.66, proving that perhaps you can teach old dogs new tricks!